Welcome to the Zambia itineraries page! A great value adventure with drives in the Mfuwe area and walking at Chikoko with some time to relax at the falls afterwards. Run by Remote Africa as part of the infamous Chikoko Walking Trails, Chikoko is a camp that truly fits in with its surroundings; this is a stunning and exclusive no frills bush camp. 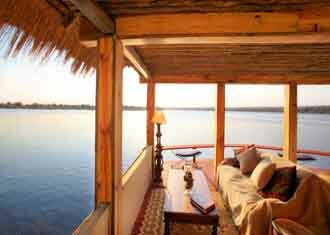 Given its location, Waterberry is perfect for boating safaris along the Zambezi. A sundowners cruise, fishing trip and mekoro ride here makes the Zambezi one of the best big river experiences in Africa. A great value trip combing the South Luangwa and the Lower Zambezi. We're a bit undecided about Mfuwe Lodge - it is inside the main gate which is a huge bonus and means the wonders of the park are right on the doorstep. However, it also mean the entrance road is also on the doorstep to one stretch of the chalets. As wild as it can get in the South Luangwa for those who love to walk followed by a more relaxed safari on the Zambezi river. What a truly exceptional camp! Tafika is one of the remaining owner-run camps in Africa with John and Carol ever present. The result is a camp that genuinely cares for each and every one of its guests. As with all of the Remote Africa safari camps, the standard of guiding and simple approach to safari accommodation is what sets this camp apart from virtually everywhere else. The recent upgrades to camp have resulted in Chongwe becoming recognised by us as one of top end lodges of the Lower Zambezi. It certainly has the best location in terms of setting of any camp in the area. A Norman Carr walking special with a splash of uber luxury at Chinzombo. 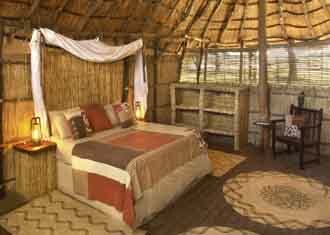 Although the whole idea of a bush camp is to be in the bush, away from all luxuries etc., there is a market that doesn’t want to lose the luxury! Mchenja caters for this market and does it damn well. Nsolo is one of the more historic camps in Zambia, it was sited by Norman Carr in the 80s and has since moved down the river bed and turned into a seriously good bush camp. The guiding is exceptional and character in camp tangible; one of our absolute favourites in the Luangwa. A truly stunning little camp. Described on the Norman Carr Safaris website as ‘simple yet extremely comfortable’, Luwi rather undersells itself! It is certainly extremely comfortable and although ‘simple’ that’s the last thing that crosses your mind on entering camp, it is a simply stunning walking bush camp! Representing a whole new league of design, style and elegant luxury hitherto unavailable in Zambia, Chinzombo is aimed at a new class of ultra discerning traveller. 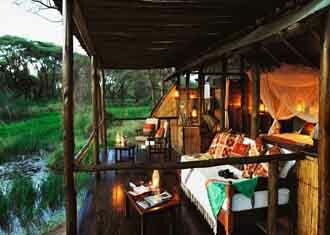 With outstanding, award-winning guiding and fantastic game viewing, this place is very special. For those who want to be as remote as possible this trip involves some of the best walking in the South and North Luangwa. Located miles from anywhere, Mwaleshi is one of Africa’s most remote camps - an absolute must for discerning safari enthusiasts. If it's walking safaris and adventure you're after, take a look here! For those looking for some barefoot luxury on the shores of Lake Malawi after an excellent safari in the South Luangwa and the Lower Zambezi. What a setting and what a great little camp. Recently a vote in the office put Old Mondoro as one of our favourite adventurous camps in the whole of Africa. 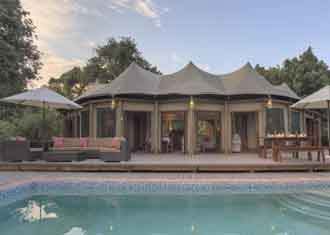 Recognised as one of the Luangwa’s more luxurious bushcamps, complete with hammocks and stunning views, Chindeni caters for a client who wants a secure tented camp, but one that also has a sense of adventure. 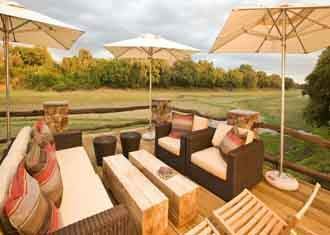 Sausage Tree is without any question the most opulently luxurious lodge in the Lower Zambezi. Whether this is actually a good thing, we will let you decide! The activities and guiding are set as high as any of the camps in the park and the location is good. 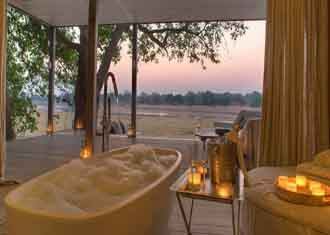 A high end luxury itinenary with the South Luangwa and the Lower Zambezi. A fly in / fly out luxury tented camp at the heart of the Lower Zambezi National Park, Anabezi is a welcome addition to this part of Zambia. With a wonderful setting on the banks of the Zambezi, spacious luxury tents each with private plunge pool, a wide variety of activities available and some excellent guiding, Anabezi is a great little camp. An extensive trip covering Livingstone and the Falls, Kafue, South Luangwa and the Lower Zambezi. Busanga Bush Camp is one of our favourite camps in the Kafue. Originally a privately run camp, Wilderness Safaris now run Busanga and have still left the lodge with its original charm. Bilimungwe, owned by The Bushcamp Company is a great little walking camp, well regarded as one of the best walking camps in the Luangwa. Adventurous safaris are guaranteed with award-winning guides, subsequently large chunks of the day are often spent walking out of camp. 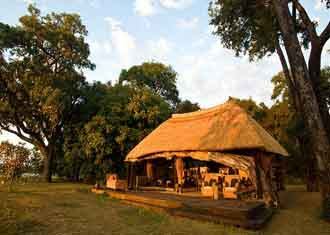 It is one of the more elegant and authentic Luangwa bush camps – fantastic! There are a few camps in Africa that have everything just right....Chiawa is without doubt one of these, regarded by us as one of the top lodges anywhere. The guiding is phenomenal, the location is perfect and this place is run by the family who are the main reason for the Lower Zambezi's success as a National Park.